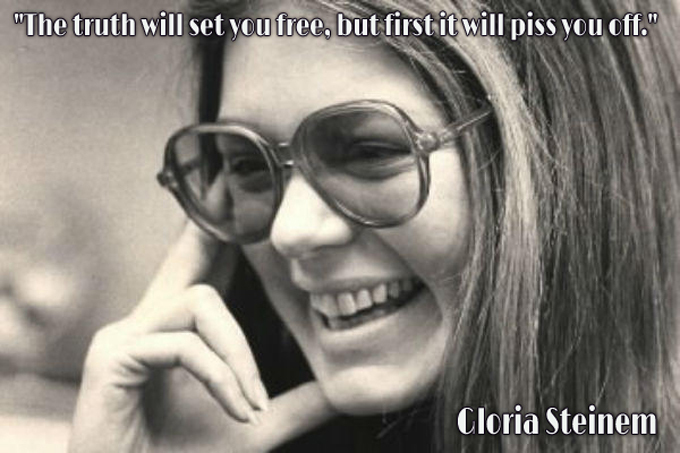 A famous feminist leader, speaker and journalist that still fights for equality and sure can turn a phrase! 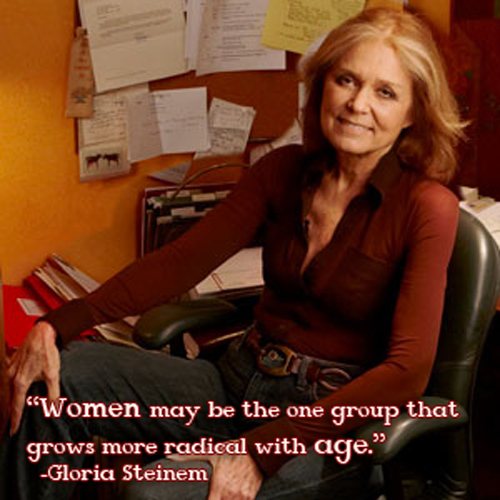 Comments Off on Happy Birthday Gloria Steinem! NEW YORK—Sir Patrick Stewart stood in the center of the Diplomat Ballroom at the UN Hotel here on Friday (March 8, 2013) pounding his fist methodically against a podium, each thump punctuated with a number (“One … two … three …”) until he got to nine. The distinguished actor of stage and screen along with 200 assorted actors, activists, politicians, filmmakers and musicians, gathered for the launch of “Ring the Bell,” a global campaign calling on 1 million men to make 1 million “concrete, actionable promises” to end violence against women. Ring the Bell was first launched in India in 2008. 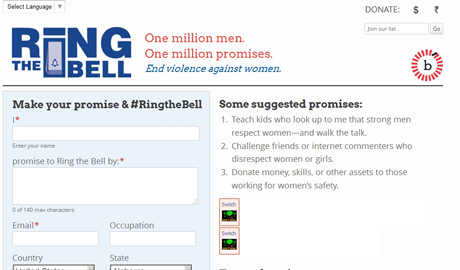 Called Bell Bajao (“Ring the Bell” in Hindi,) this campaign has called on millions of men and boys worldwide to action, asking them to commit a simple act with global impact: to ring the doorbell when and where they hear violence against women occur. This way, the violence is interrupted. 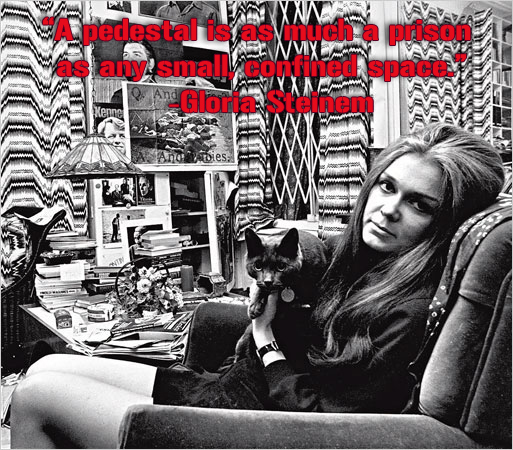 This way, the abuser is shown that the community is watching and listening. 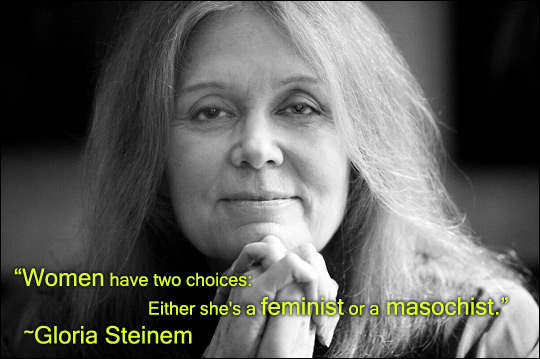 This way, men become powerful partners in ending violence, and help make what was once acceptable unacceptable.